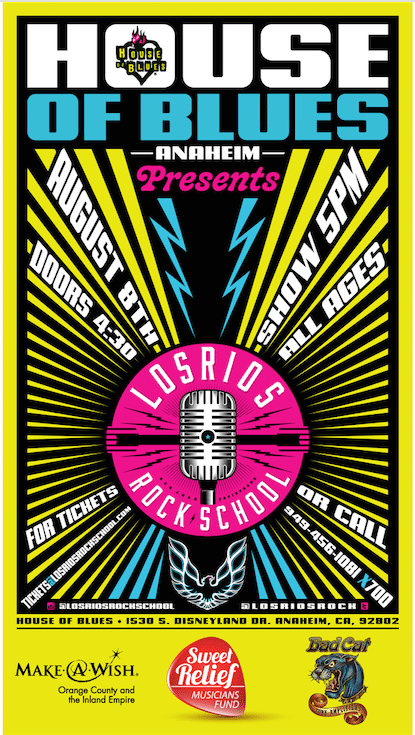 August 8th, 2015, at the Anaheim House of Blues come see Los Rios Rockschool in Concert! Email or call (949) 456-1081 x700 for tickets! Doors open at 4:30pm, show at 5:00pm — open to all ages!